I was working on binding for a quilt this morning for someone who’s baby is already 6 months old and it hit me. I will dedicate each block to someone I would have made a quilt for. Odd, I know. You might be thinking, “Well why didn’t you just make a quilt for them?”. I only have one answer for you… LIFE. It gets in the way. I have a full time job, responsibilities and a serious addition to cable TV. I don’t have a prioritized list of who is more important when it comes to making quilts and there is no way I can make one for everyone. In the end, it usually comes down to what is going on in my life at the time. For example, if you are having a baby and I don’t have time to start a quilt for you, you will most likely get something nice from a store. But know that I desperately wanted to make you something. If you are lucky, I started a quilt and told you about it. That ususally means you will eventually get it (even if it’s 2 years from now). I start this project this week, today in fact. I will pick a design, create a separate page on my site for those that are interested to track my progress and start making blocks January 1. 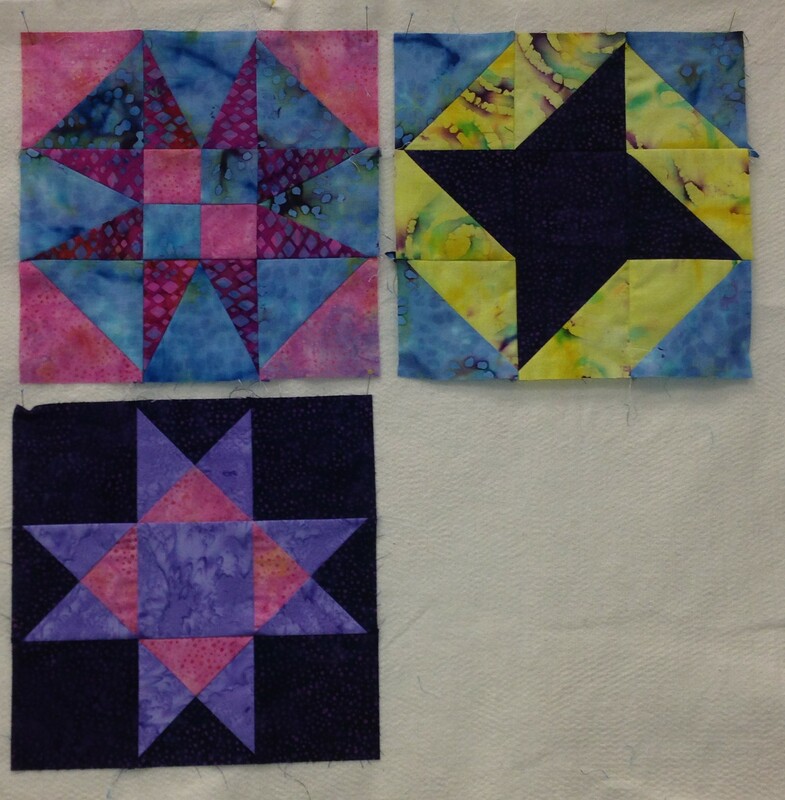 The ultimate goal – 365 blocks – a years worth of would be quilts. I don’t have anything to show right now so I leave you with more UFO’s from Quilt Festival this year. « It’s hot out there!